DA NANG (VNS) — Viet Nam has become the second biggest destination for Japanese investors in ASEAN – after Thailand – with 1,463 members in the Federation of Japanese Chambers of Commerce and Industry in ASEAN (FJCCIA). Japanese companies have started 176 new projects in Viet Nam in the first seven months of the year, said Atsusuke Kawada, chief representative of the Japan External Trade Organisation (JETRO) in Ha Noi. However, he said investment capital in Viet Nam had been declining due to the weakening of the yen, and big companies having completed their investments in Viet Nam, Kawada explained at a conference on Japanese investment promotion in Da Nang last week. About 150 Japanese businesses participated. "Ninety per cent of new investment projects from Japan in Viet Nam were small- and medium-sized, with capital under US$5 million. The figure also revealed that 40 per cent of new projects were in the field of industrial manufacturing," Kawada said. "Da Nang should keep its eye on traffic infrastructure to attract Japanese investors. I make sure that more Japanese investors would flock to the city and central region if the Da Nang-Quang Ngai Expressway is completed before 2017." Phung Tan Viet, vice chairman of the city's People's Committee, said Da Nang has drastically boosted administrative reforms in order to create favourable conditions for investors and tourists. Viet added that the city would give top priority to long-term Japanese investors. Da Nang has launched a direct flight to Narita, Japan with seven flight per week, and plans to open a new direct route to Osaka in the coming years. Mai Dang Hieu, vice director of Da Nang's Foreign Affairs Department, said the city was the first in Viet Nam to open a liaison office in Tokyo in 2004, and planned to build a 1.2ha Viet Nam-Japan Culture Centre and a 134ha industrial park for medium and small-size businesses from Japan. 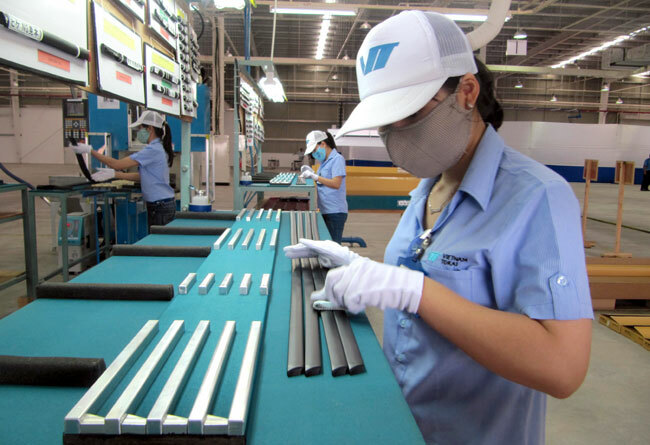 Cheap labour has attracted investors, and Viet Nam ranks fourth among the 15 lowest-cost countries with stable politics and society. "The friendship between Viet Nam and Japan is very good…We (Japanese investors in Da Nang) have been given strong support from the city administration," said Shinichi Iwama, vice chairman of the Japanese Business Association in Da Nang (JBAD). Iwama, who is also the chairman of Daiwa Viet Nam, said investors could find low-cost labour in the central region more easily than in HCM City and Ha Noi, and strikes hadn't occurred there yet. He, however, complained that poor traffic, support industries and materials were major challenges in luring investors to the central region. He said driving from Da Nang to Ha Noi and HCM City often took 18 hours, while different expressways had yet to be completed. Iwama also said a long-term plan for industrial development for the central region was needed in order to build up a supply chain for the entire region – not just Da Nang.